It’s no secret that there are dangers involved with beekeeping. Beekeepers need to be cautious while handling beehives or risk getting attacked by a horde of angry bees. Thus, Beekeeping Gear Essentials is a must-have! Fortunately, there are plenty of tools and other protective gear offered on the market that can help keep you and your bees safe. Here are a few essential pieces of protective beekeeping gear that every aspiring hive-owner should have. Every beekeeper has their own opinion about what kind of protective clothing to wear when managing their hives. While many veteran beekeepers opt to only wear a veil to protect their face, this can often leave them with several stings across their body. 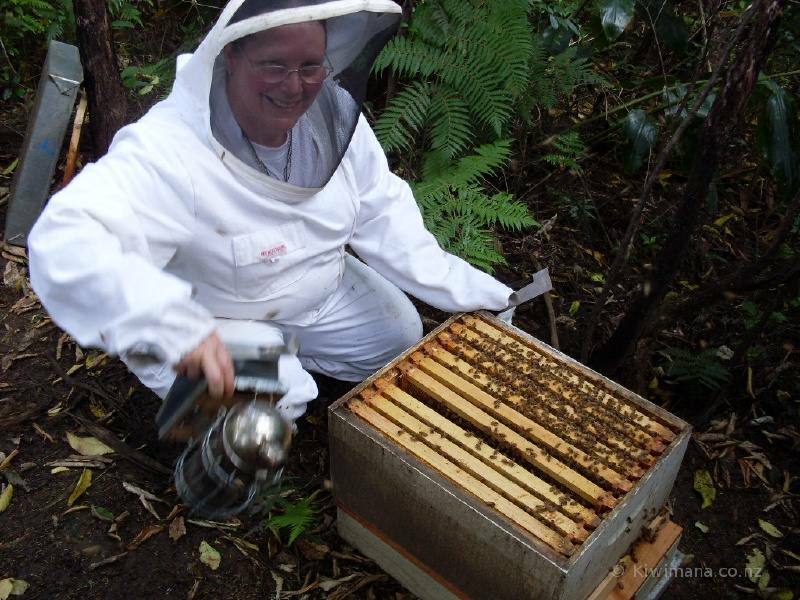 Beekeepers looking to avoid getting stung will want to invest in a beekeeping suit. A full suit comes with complete protection from head-to-toe, while a half suit or jacket will cover the top half of your body. Suits and jackets are available in both ventilated and non-ventilated varieties. It’s recommended that beekeepers in a warmer client should opt for a ventilated variety to avoid overheating. You’ll want to be sure you are also wearing protective rubber gloves and leather boots. Proper protective beekeeping suits will ensure that your bees cannot crawl underneath your clothing, which often leads to stinging. Cautious beekeepers often use heavy-duty tape to secure an opening, such as at the sleeve or pant leg. The beekeeper hat and veil is arguably one of the most important pieces of protective beekeeping gear. 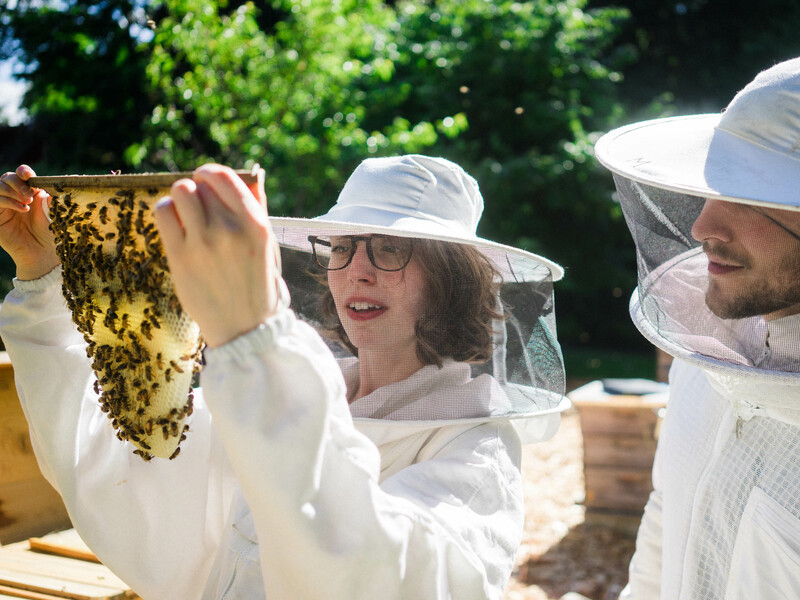 While not all beekeepers opt to get a full suit, every beekeeper knows the importance of wearing a proper hat veil. Without the hat veil, bees can come into direct contact with your face, get stuck in your hair, or crawl down the front of your clothing. 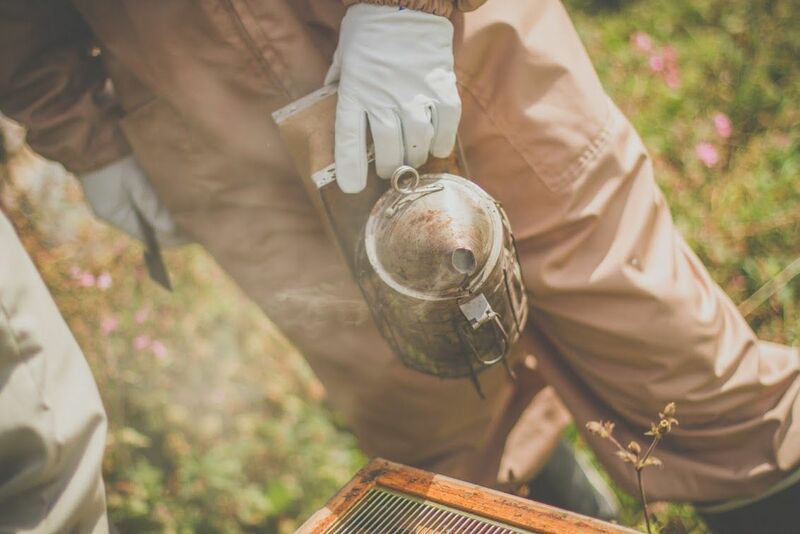 While some expert beekeepers feel that they can handle their bees calmly and not get stung, many beginners are noticeably nervous while handling their first hives. If a bee becomes agitated while you are working on their hive, it will likely go straight for your face if left unprotected. This is an instinctive ability that has evolved from the constant threat of bears in the wild. The smoker is a beekeeper’s best friend, as it helps keep your bees calm and prevents them from swarming. A smoker is a small cylinder container fitted with a bellow at the bottom. Beekeepers will light small, slow-burning fires inside the cylinder that allows smoke to form. When you squeeze the handle connected to the bellow, the smoke will be forced out from the nozzle. Beekeepers blow this smoke across the hive in order to keep their colonies docile. The smoke from your smoker will trigger a few instinctual behaviors that will make your bees easier to work with. When the smoke enters the hive, your bees will automatically assume that there is a forest fire. This kick-starts the bees to consume as much honey as they can in order to save as much of their home as possible. This means that they will be too busy working, and will likely leave you alone. The smoke also interferes with the bees’ pheromones, so the bees will have a harder time communicating distress signals that can start an attack. 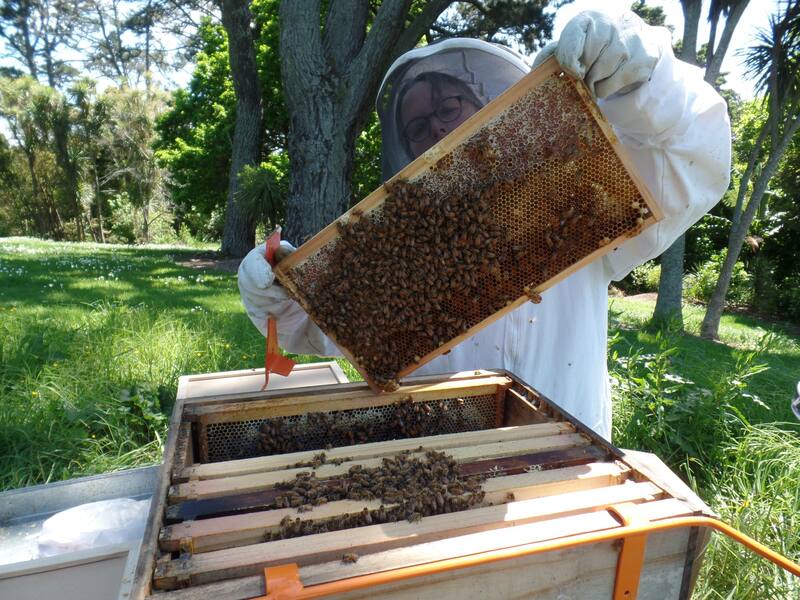 The bee brush is a soft-bristled brush that has a variety of uses around the hive. Bee brushes can be used to gently remove bees from a comb, instead of trying to shake them off. This will help keep the bees from getting injured during hive maintenance, and will also help keep them more docile so they are less likely to attack. To remove bees from a surface using the bee brush, quickly but gently brush the bees in a perpendicular motion. Take special care around the open brood and honey cells, as the bristles can accidentally harm the brood or break open the honey cell. This multi-purpose tool is used for everything from prying out top bars to squishing mites. Hive tools allow you to carefully work on your hive without having to stick your fingers into a colony of bees. The most popular use of the hive tool is for frame management, as it can easily slip between the slats and hook onto the frame to be pulled out. The design of the hive tool is simple, which is what allows it to be so versatile. Hive tools are made of a hardened metal, often steel. On one end of the hive tool, there is a hook, which is used for grabbing frames or carefully separating boxes. The other end features a dull blade, which can be used to remove debris or even to scrape out stings.